San Francisco is justly famed for many things. It’s culture of diversity, it’s determination to go its own way, and the unique architecture found throughout the city are just a few examples. 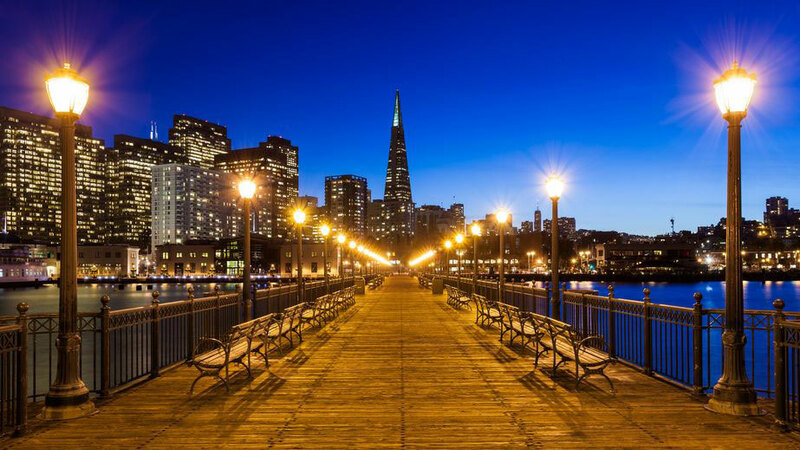 However, the City by the Bay has become a renowned culinary destination around the world, and many travelers venture to San Francisco simply to try the range of incomparable restaurants on offer. Fall 2018 marks the debut of a number of new additions to those ranks, including some very exciting options. What’s coming to tantalize your taste buds? Located under the Divis Italian restaurant, Theorita is another restaurant brought to you by the people behind Che Fico. However, this one has a difference. Rather than pasta dishes and slices of pizza, Theorita is going the traditional dessert pie route. Of course, there are unique takes on what “pie” might be, such as passionfruit rather than apple. There are also savory sandwiches and other items on the menu. Another highly-anticipated spin-off, the new Z & Y Bistro is a sister location to the award-winning Z & Y Restaurant located on the same block in Chinatown. However, where the Z & Y Restaurant serves up delectable Sichuan fare, Z & Y Bistro will focus on Asian fusion cuisine. You’ll find a range of hot pots, as well as skewers, ramen options, and lot more. Located on Geary Boulevard, Amara is a Moorish-Mexican restaurant brought to you by Mourad Lahlou and Luis Maldonado. The two chefs will bring their unique culinary capabilities to the table (literally). Most of the dishes will be Mexican in origin but will have a unique Moroccan flavor found nowhere else. Who doesn’t love an amazing deli sandwich? That’s exactly what you’ll find with the reborn Palermo Deli. The original Palermo closed down several years back, but the demand was such that the owners decided to reopen, under the moniker Palermo II Delicatessen. You’ll find it on Vallejo Street in North Beach, and you’ll be able to get just about any deli sandwich you might want, from chicken parmesan to a crab salad sandwich (called the Crab Jack). The gastropub experience varies from establishment to establishment, but the focus is almost always on both locally-produced alcoholic beverages and bespoke cuisine. You’ll find that ALX is no different in this regard. You’ll discover great cocktails, as well as California craft beer and tons of pub fare that’s been dressed to the nines. Check out the foie-gyu burger, which is made with 15% Japanese wagyu beef and 30% foie gras, or enjoy a plate of wings and fish sauce. Love German food? Adore those hillside views in San Fran? Then Radhaus is the place for you to go. It’s basically a German beer hall with picturesque views of the city, the Golden Gate Bridge, and the bay itself. You’ll also find authentic German beer here, from some of the oldest breweries in the world still operating. These are just the tip of the proverbial iceberg in terms of new restaurants coming to town. Get out there and enjoy all that the city has to offer!